The trial is due to start on 12th January 2010 in Court 35 at the Royal Courts of Justice before The Honourable Mr Justice Treacy. It is estimated to last 3-4 months. There will be seating available for both press/public. The time was requested, but not released. I believe it will be no earlier than 0930. I presume the judge mentioned is High Court Judge Colman Maurice Treacy and not Seamus Tracey who is a prominent Crown Court Judge from Northern Ireland who recently had his £650,000 house bought from him by the UK state when a bomb was found near his house (he might fancy a three month stint in London?). Proceedings were previously scheduled to take place in Kingston Crown Court. The trial can take place without a jury under the provisions of Section 44 of the Criminal Justice Act 2003 brought in by the Labour Government. The reason for holding this particular trial without a jury is that the police have failed to protect juries in previous trials from attempts to influence them. The details have not been released by the police or even made available to those accused and their legal representatives. I think it is terrible that the British state is unable to protect juries. There are surely many ways in which the trial could have been run in which the jury could have been protected, the press and public given access to proceedings, and the defendants given a fair trial. These men’s fate is in the hands of one man, the judge Colman Treacy, acting alone, I don’t think that’s right. MPs could insist the police deal with those attempting to derail the judicial process and bring those people to justice themselves. The trial could have been held in an secure location such as a military base, or inside a prison. It could have been fast-tracked and jurors could have been asked to stay on-site for the period of the trial. With Judges, Jurors and legal representatives staying on-site the court could have sat two or more times longer than the typical 4 or so hours a day, worked more days of the week, and generally speeded up proceedings allowing the case to be dealt with in a month or so. The jury could have followed the case by video link. I wouldn’t suggest this for all cases, but where there are such extreme factors it might be reasonable. The jury could physically be located in any crown court in the country or any anonymous office building. I think any of these steps could have been achieved for less than the reported £20-25 million this case has already cost the UK taxpayer. The only thing which appears to have been considered is the costs of protecting the jury by brute force with many tens of police officers, the courts found this unjustifiable. I think justice is far too slow in this country; delays have a terrible impact on those who have to wait years to discover their fate. 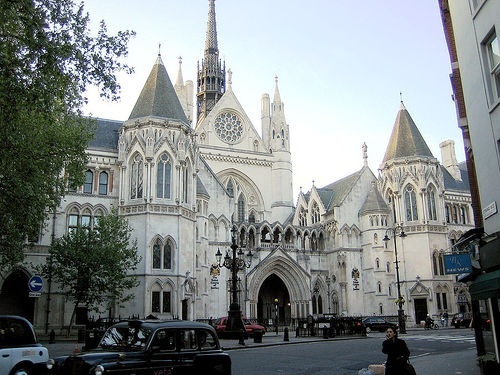 This case concerns a crime committed in February 2004 and the delay of five years is of course extreme due to the three earlier trials; but it is quite common for cases to take a year or so to come to court in the UK. If the police can’t even protect a jury in a robbery case like this imagine how easily they might give-in if confronted by threats by a terrorist organisation? That might happen. In those cases we have to be particularly careful to ensure justice is done and seen to be done so we don’t provide situations which can be used as recruiting tools by those wishing to disrupt life in the UK. I hope members of the press and public will attend the trial as otherwise there will be no impartial members of the public there to witness what happens. I would like to see the case well reported. If anyone planning on attending wants to say so in the comments or wants to add a note on what they observed afterwards that would be excellent. Allowing criminal trials such as this one to go-ahead without a jury is far from the only erosion of justice that the current Labour government have embarked upon. They have introduced the ability to hold secret inquests without juries, a move I opposed, ministers now have the power to keep people under house-arrest, and anyone can be detained without charge ie. without knowing why they’re being held, for up to 28 days, not to mention the DNA database which has seen millions of innocent people classed as only “innocent-ish” by the government, increased powers to snoop on private conversations and much more including the removal of juries of fraud cases. Trial by jury is a a key part of our justice system which should not have been thrown away and ought be restored as soon as possible. It is a key safeguard that ensures those being prosecuted (or persecuted) by the state have an opportunity to have their case heard by a group of fellow citizens. I am concerned the loss of jury trials will result in a loss of public confidence in the justice system and the wider state. It’s the first trial of its kind for some time in Great Britain, but not in the UK: Edward Heath’s government was forced to bring in Diplock Courts in Northern Ireland due to terrorism, this might be a “dry-run” for the same thing here. To your list of ways of preventing this I would add giving the police the tools to do their job, including arming them routinely. A very good piece. I hope that you don’t mind but I have circulated your article to fellow members of Sutton for Peace and Justice I guessed that it was only a matter of time before they tried the Diplock style courts over here. The police in the Uk have more tools at their disposal than any police force ina comparable demorcarcy. Our police are also unaccountable raiding a leading opposition politicians office in the house of commons stopping people for photographing a chip shop in Chatham detaining people or “kettling” them for twelve hours at a stretch and killing people live on television. The police could always argue that there was jury tampering who could argue that there was not. In this case no one has been arrested or charged with jury tampering. I have served twice on a jury, once at the Old Bailey back in the 70′s for 6 weeks I was on four trials two collapsed for various reasons on the other two we reached guilty verdicts. I served again three yaers ago for two weeks, we only sat through one complete trial the other four trials that we were involved in all collapsed because of what seemed to us as shoddy work by the CPS. Big Kev, if you go to France or Italy, you will see that the various police forces have more “tools” avaliable to them than ours do. How come sometimes the bad guy’s the only one with a gun? The court often resembled a legal version of the X Factor, with a high-powered judge – Mr Justice Treacy rather than Simon Cowell in this case – considering impassively the presentations before him. Evidence often had the air of a quiet conversation between old friends, with none of the normal rhetoric directed at juries. (A reference to 2013 in the appeal judgement must, I think, be a typo). I am concerned that an individual’s right to a trial by jury has been thrown away so easily. The appeal judgement refers to: “the well-known problems in relation to attempts to interfere with juries in Liverpool”. Anyone suspected of trying to interfere with a jury should be investigated and if there is a justification to do so, charged and put before a court. I want to see jury trials protected.